Robinson Cano is the latest in a long and illustrious line of great New York Yankee second basemen. The first was Hall of Famer Tony Lazzeri and then Joe Gordon. Later on, both Billy Martin and Bobby Richardson became All Stars for New York at that position, as did the great Willie Randolph. One name not on that list is Jerry Priddy and the late, great Phil Rizzuto was always astonished by that omission. Why? Because Scooter was Priddy’s teammate and double-play partner during their climb through the Yankee’s Minor League organization. During his days in the broadcast booth, Rizzuto would often tell listeners that Priddy had been a much better all-around player than he was and that he could not believe his Los Angeles-born former teammate did not make it big in pinstripes. Priddy and Rizzuto were so good that when they joined the Yankees in 1941, Manager Joe McCarthy moved Gordon from second base to first so that the two rookies could take over the middle of New York’s infield. Rizzuto held his own at short but Priddy struggled to hit big league pitching. The Yankees might have been more patient with a less cocky rookie, but Priddy was anything but. He told Gordon in spring training that he was a better second baseman than the future Hall of Famer so when he got off to a slow start, his veteran teammates offered no assistance, shed no tears and spared no criticism of the outspoken rookie. Priddy hit just .213 in 56 games during that rookie season. He did better the following year, hitting .280 as Gordon’s backup but when he complained about a lack of playing time, the Yankees decided to give up on their loud-mouthed prospect and traded him to Washington. He had a good year there and then spent the next three seasons in military service. 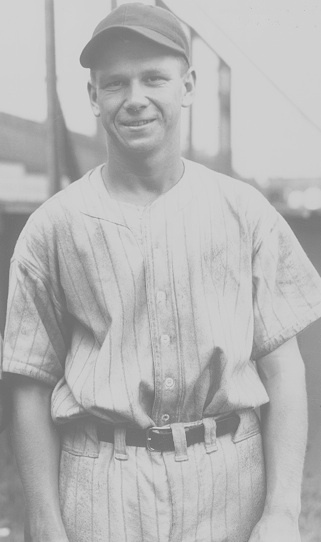 When he returned, Jerry did evolve into one of the league’s better second baseman, playing eleven seasons in all and averaging .265 lifetime. In the mean time, Scooter played himself into the Hall of Fame and was left wondering why his old teammate wasn’t in there with him. This former Yankee outfielder and this one too were also born on November 9. Thanks for telling us about Priddy. I admit I’d never heard of him. I guess he got lost among bigger names like Rizzuto and Richardson.